Hello friends! It's Tara here today sharing a little bit of something I've been working on. For months now I have been thinking of how to include writing out daily gratitude to welcome each day as it comes. When I start my day with a heart filled with love, my entire mood and attitude is different as I conquer the big and little challenges that come my way. I decided to use a passport traveler's notebook undated weekly insert. I love how portable this size is! I'll be traveling this week so it will be easy to add this notebook with my small stash of supplies. The blank canvas of spaces wide open is just waiting for me to create something each week and record my gratitude. 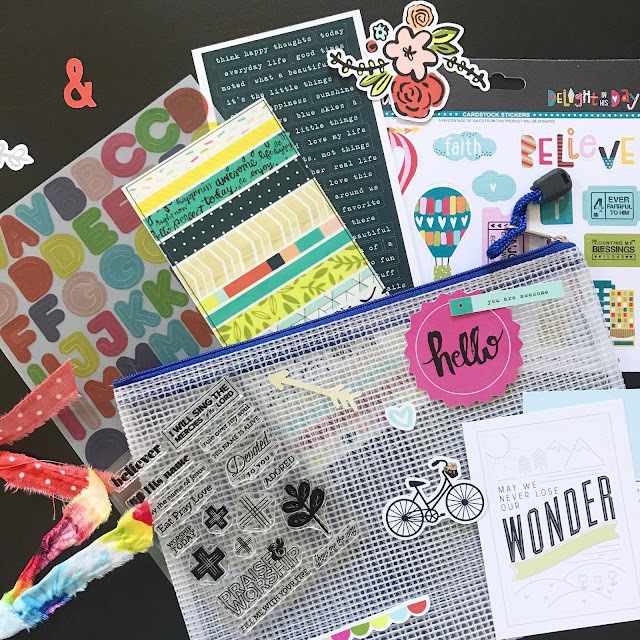 I used this month's GraceBox kit and it's filled to the brim with bits and bobs of colorful goodness! 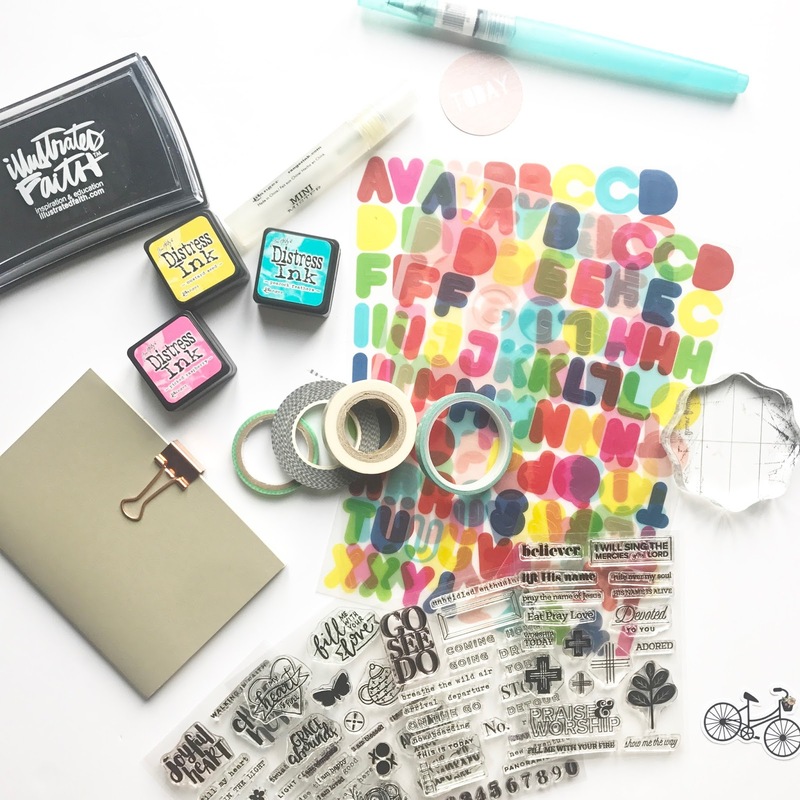 I added in some washi tape, distress ink, and mini mister from my stash along with some past GraceBox stamps. Here is my first week in August so far. 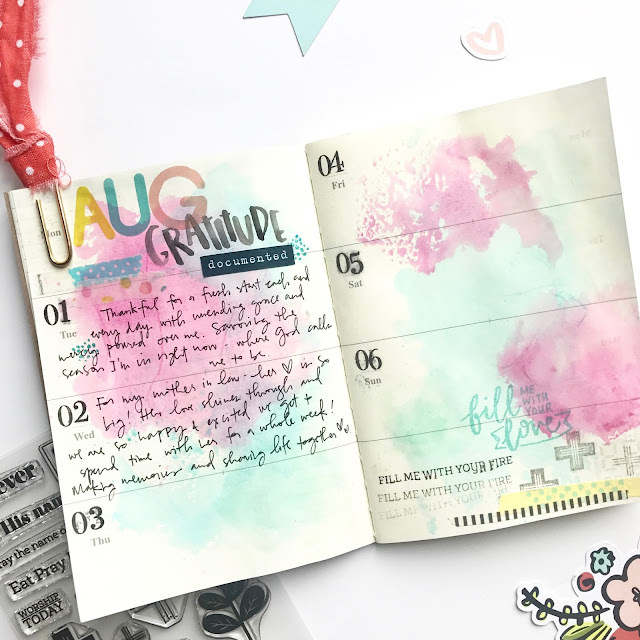 I love using the Illustrated Faith stamp pad - it doesn't bleed through the pages. I will remember to stamp before I use distress ink - the numbers (Traveler's Notebook class stamp set) smeared a bit. They don't bother me as this week's pages were meant to be a bit messy! Thank you for stopping by today. I can't wait to see how you use your GraceBox kit or document your gratitude.